Over the past few months we have at St. Gregory conducted a comprehensive search for a new Librarian and Director of Information Literacy. As part of the search, we requested of candidates that they prepare and submit an essay on “Reinventing the 21st century library,” and we received nearly fifty applications and accompanying essays. Below are excerpts from some of the best essays submitted (with the author’s permission). If you read onto the end, you’ll find the last has a particularly fun style, written as a day in the life of a reinvented 21st century librarian. The rapid pace of technology change means that many librarians and educators constantly feel behind. There’s always some new tool, some new idea, something we haven’t read yet. My goal as a librarian is to be aware of the options, but to take a step back, and look at what is most effective for this community, right now. For example, if we look at seeking out information, each of us has our own preferences about how we interact with information: some people prefer print, some love reading on a screen. Some prefer words and text, while others learn best from images, video, or audio tools. I want to build library resources that allow for this kind of individual preference wherever possible, but I can focus on topics and areas of study that are most important in the school’s curriculum. There are many technology tools, but I might focus on those that offer something different, rather than spending lots of time on a tool simply because it’s new and exciting. The notion of the traditional library conjures a vision of immovable pillars and lofty ceilings. Within its marble walls reside rows and rows of books. This immense storehouse represents an accumulation of knowledge from generations previous to present. As the pages turn, the world unfolds through still images and written language; yet, it is confined to a rather flat, limited dimension. The 21st Century library, transformed by major leaps in technology, animates this construct of an unfolding world into a world that spins, speaks, and responds. It adds motion, sound, and interactivity, extending the library’s reach far beyond its walls. The current walls, viewed through computer screens, are transparent, frequently mobile, and sometimes responsive to touch, presenting an unprecedented opportunity for engaging youth in their education. Interactive learning, which places students at the helm of inquiry, incorporates multiple intelligences, increases involvement, often offers custom level tailoring, and may even provide an audience for students to become authors themselves. With the proliferation of Web 2.0 tools, subjects and skills can be seamlessly integrated throughout the curriculum through project-based learning, which bestows the authenticity of real life while stimulating the imagination for the future. The 21st Century school library environment extends beyond the traditional library’s stone columns. It exists in both a physical space and a digital realm. Whether establishing a quiet zone for study, a progressive multimedia lab, or a participatory presence on the library website, the DIL/Librarian builds a suitable climate for learning. S/he organizes the use of physical space, furniture, and lighting to create an inviting space for reading and studying while also placing informational guides and promotional exhibits in spots designed to inspire and evoke curiosity. S/he works with the Director of Technology on efforts to maintain a multimedia lab conducive to active learning. Additionally, s/he plans content and design of the library website, which contains scholarly resources, the library catalog, links to tutorials, a calendar of events, and a wiki. The calendar’s events might feature items such as upcoming poetry readings, club meetings, and student debates. The wiki would offer a forum for students to share literary news and book reviews. Another component of the website will be a section devoted to students’ online portfolios. The library and librarian should cover a critical portion of achieving 21st Century goals. 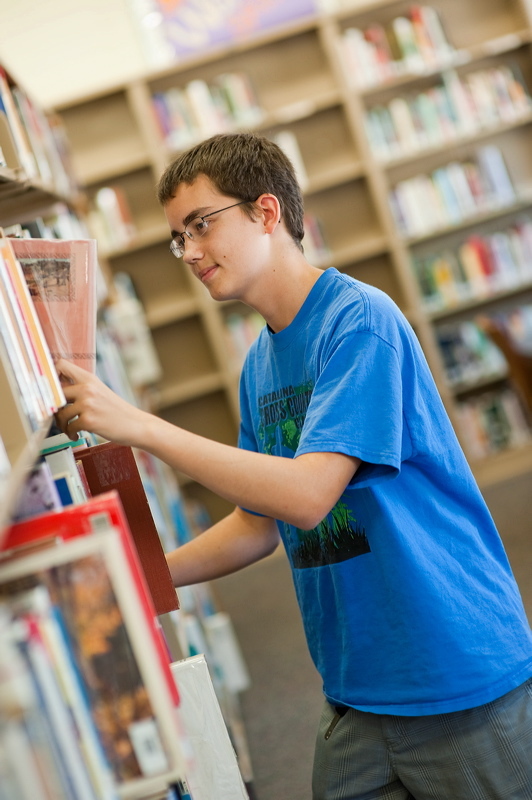 A school library is the ideal learning environment for meeting “twenty first century student outcomes” in the area of “information, media, and technology skills”, one could also state that the librarian as an educator in information literacy and research skills also plays a critical role in teaching “life and career skills”. The library as a physical space not only supports the learning of these 21st Century goals, but also provides the physical space for curriculum and instruction for both students and faculty. Lastly, the space provides an area for professional development. As a Director of Information Literacy (DIL), a librarian must do more than shelve books, and provide materials to students, the DIL is a resource of professional development for faculty and staff, teaching them about issues and interrogating literacy information in a digital age into the classroom. When looking how a library should function in a 21st Century School it becomes apparent how needed school libraries are. Academic integrity is a critical issue in academia today. The change to electronic sources and easier access to information has quickly transformed the research and writing processes. Teaching academic integrity, appropriate citations, and explanations of copyrights is vital for students to be able to produce appropriate written and multimedia projects. A librarian is essential for keeping both the students and faculty informed on not just the proper and current types of citations needed, but also the ways materials can be used and how to stay within copyrights. Another discussion the Director of Literacy Information must lead is what types of web based content is allowed for use in academic pursuits. Most higher education institutions do not allow for Wikipedia to be used as a source of information. Yet, other user-generated websites might hold credible information, such as a blog by an archeologist at a dig site. As a faculty, St. Gregory needs to set policies for what types of user-generated content from the Internet are allowed as part of academic research. It is up to the Director of Literacy Information to lead those discussions and then find and teach faculty and students the proper ways to use and cite the information appropriately. The first question nearly anyone asks about the future of libraries is “what about the books?” While the number of tablets like the iPad, e-readers like the Kindle, and nearly endless stream of digital information makes the future of the hard copy book questionable, the real issue is how to continue to reinvent the library space to keep it relevant to the modern student. In the position of librarian, my goal would be first to encourage students to engage with information in its various forms, whether that be a well informed and researched blog, first person interviewing or a book borrowed on inter-library loan. The medium in which a student receives is somewhat arbitrary; what’s important is his or her ability to take that information, judge its appropriateness for the assignment at hand, analyze its accuracy based on existing information and common sense, and to re-contextualize it along with the other data gathered from other sources to answer the question at hand. library isn't just a physical space anymore, the physical space still has a place to play as a place. giving each period of the day its own feel. she says she'll think about. could have the freedom to be where I'm most needed on campus. was better able to find just the information he needed. both of us make on campus.